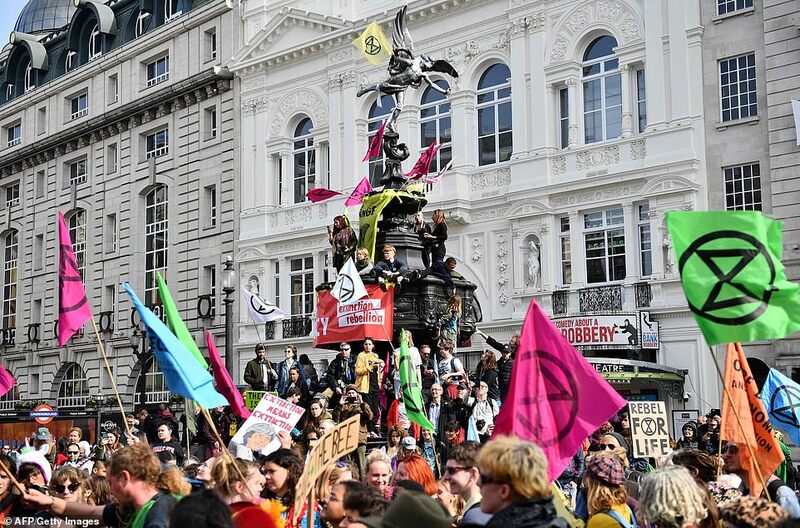 More than 110 people have been arrested over London climate change protests in less than 24 hours after a police order restricted them to one area as angry commuters face more disruption on their way into work. 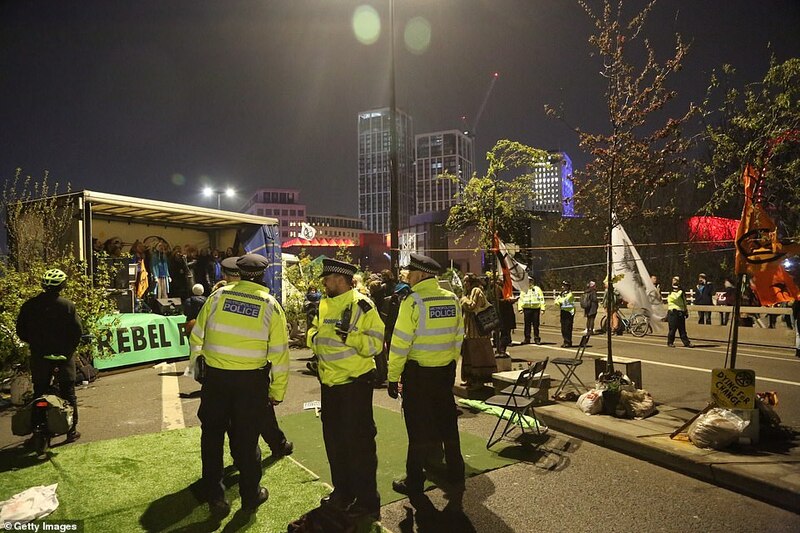 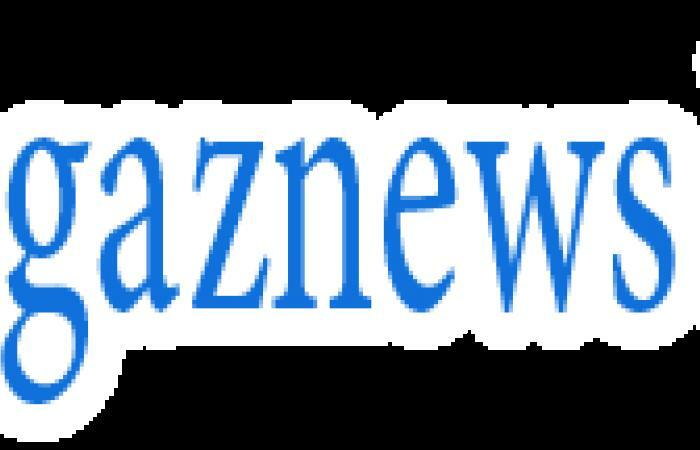 Police have been moving the Extinction Rebellion protesters off Waterloo Bridge after an order was made restricting them to gathering in the area around Marble Arch, but groups remained on the streets in Westminster. 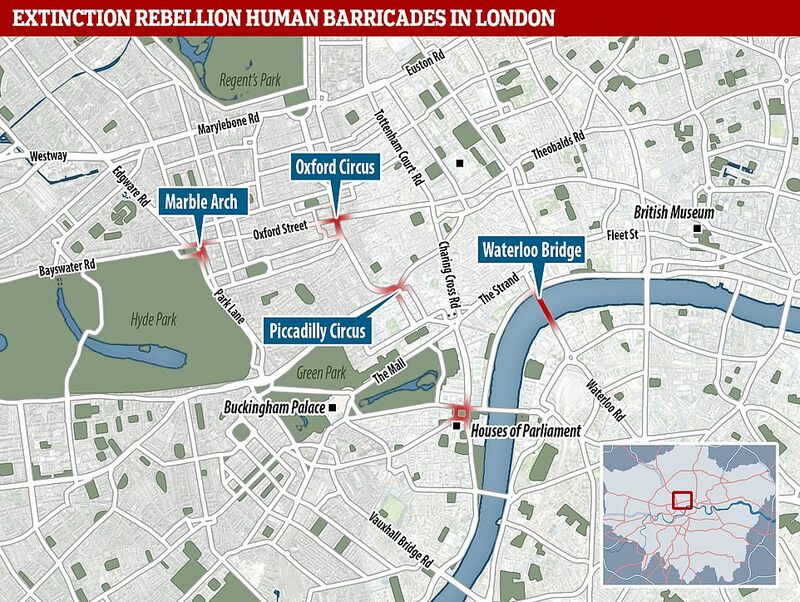 Scotland Yard had made 113 arrests as of 6am this morning, the majority of which for public order offences and obstruction of the highway. 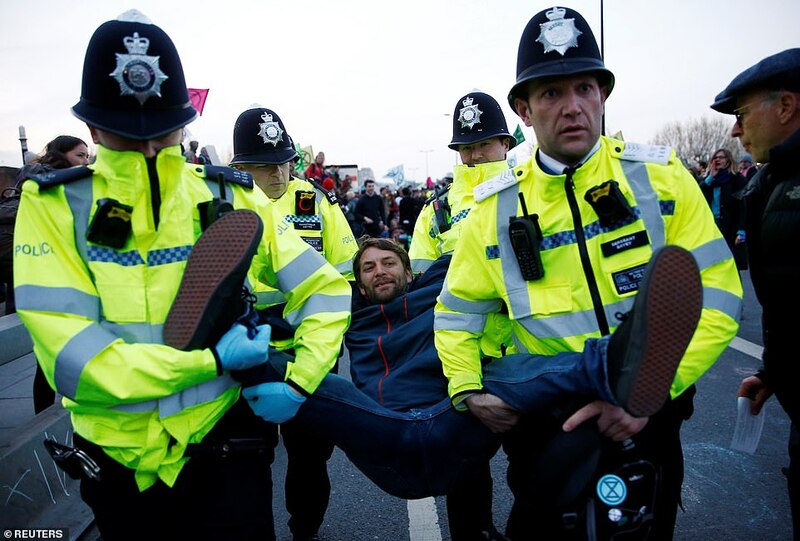 While many children joined in the protests, all of those detained were adults. 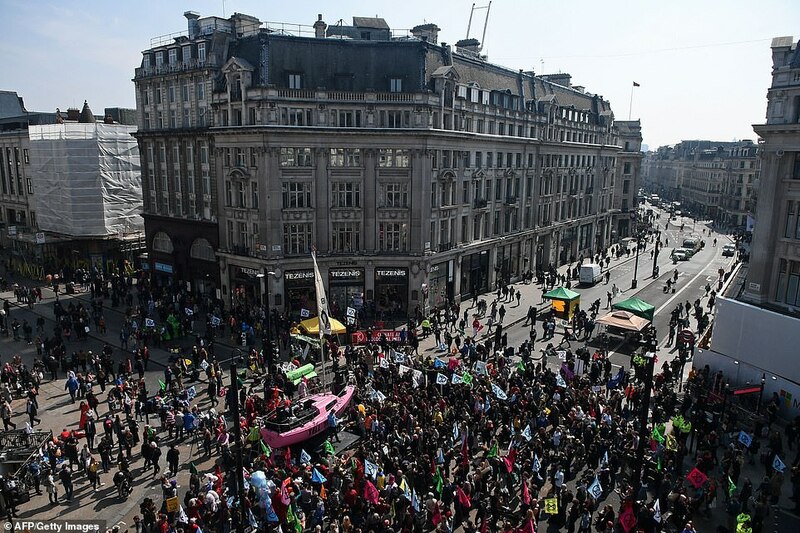 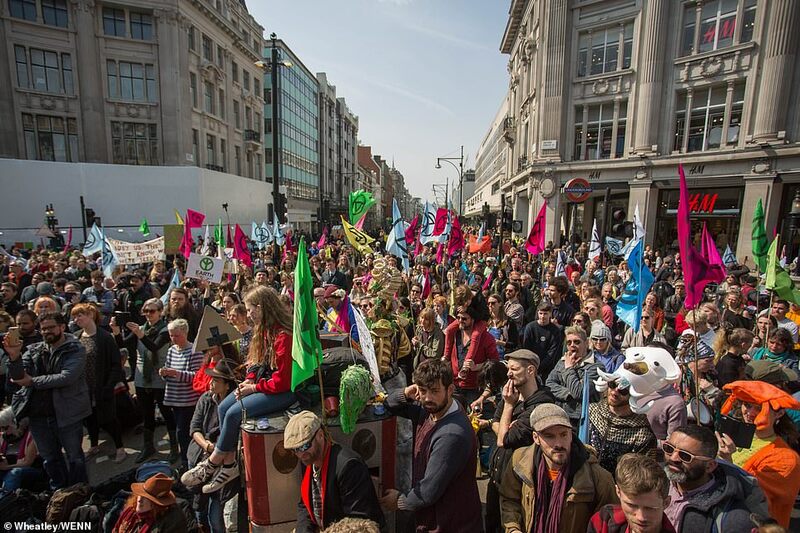 Extinction Rebellion said five locations across London had been held by an estimated 5,000 to 10,000 people by yesterday afternoon - and the protests will continue today during what could be up to a fortnight of action. 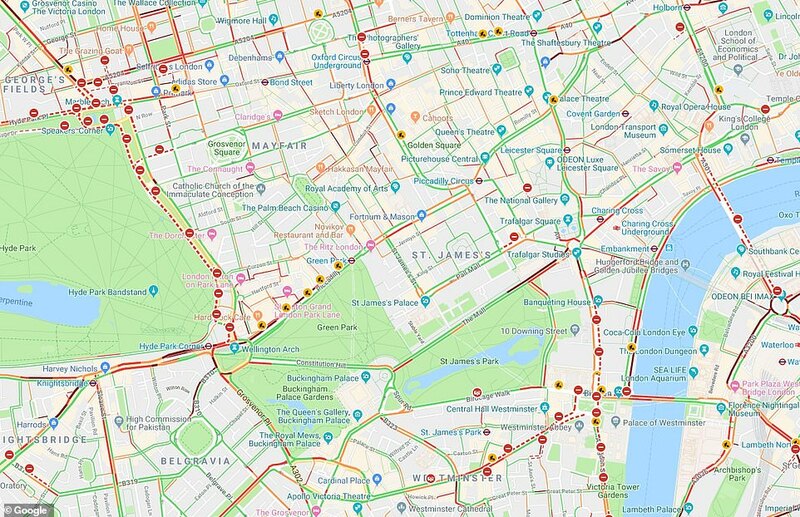 Roads remained closed across Westminster and the Hyde Park area, with Transport for London warning bus routes would 'remain on diversion or curtailment in central London due to ongoing protest which are blocking roads'. 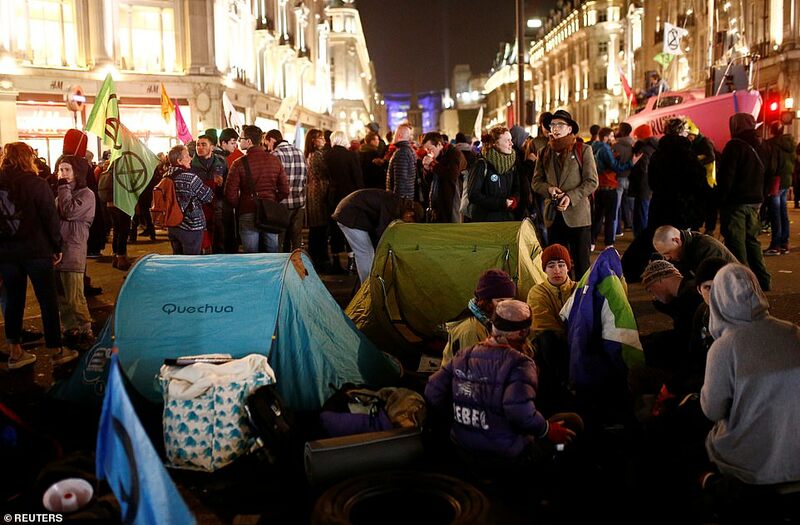 The Met also imposed a 24-hour condition for protesters to gather only at Marble Arch under Section 14 of the Public Order Act 1986, saying that it had required evidence that serious disruption was now being caused. 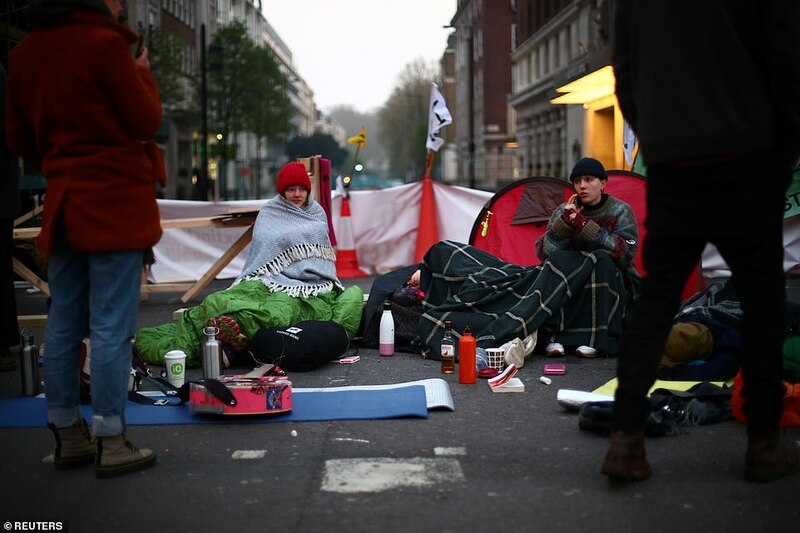 It came after environmental protesters blocked some of London's busiest roads and vandalised Shell's headquarters near Waterloo yesterday as they demanded action on climate change. 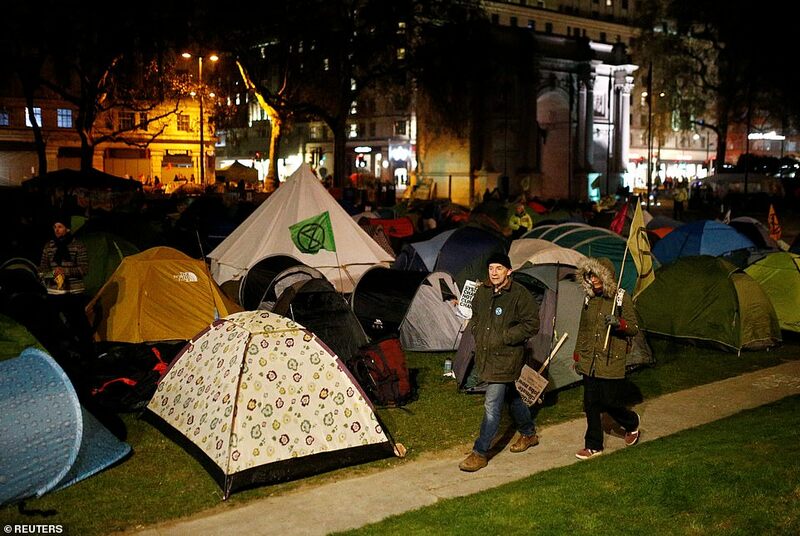 Thousands of people gathered at five central London locations in a bid to bring the capital to a standstill. 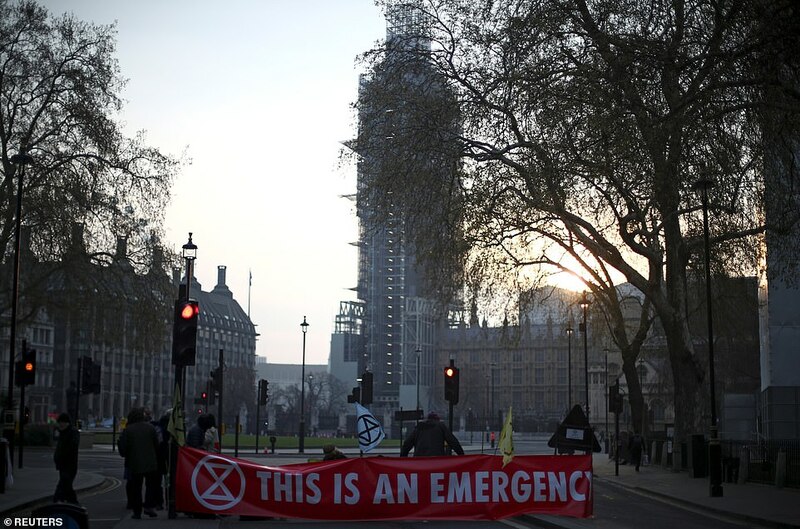 Some activists glued themselves to windows and smashed glass revolving doors at Shell's HQ near Waterloo, while others climbed the building to spray graffiti and hang banners. 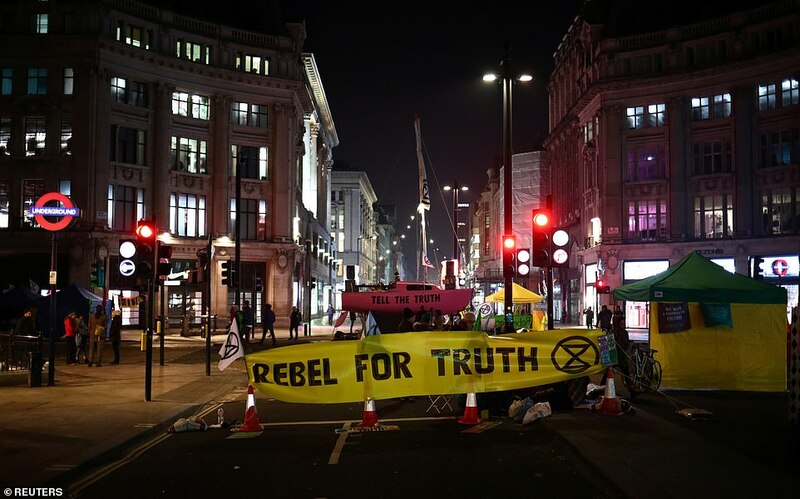 Campaign group Extinction Rebellion said it aimed to cause more than £6,000 of damage so they could be tried by a jury in Crown Court. 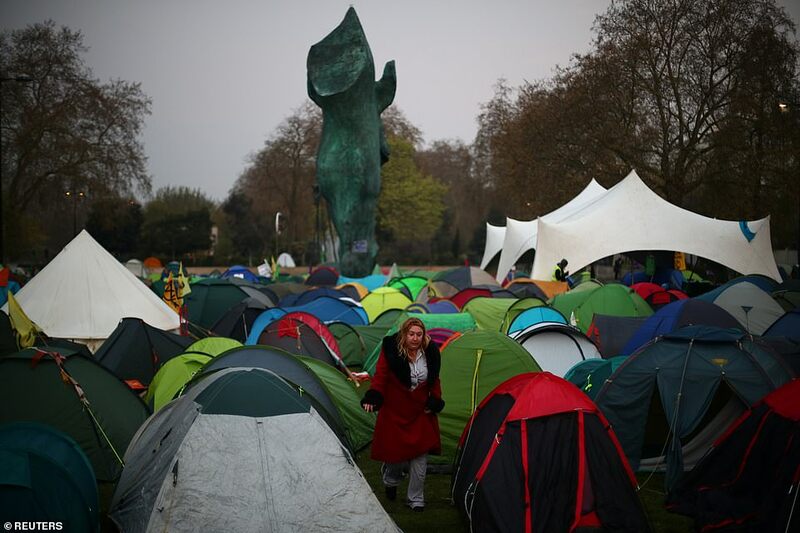 Police said three men and two women were arrested on suspicion of criminal damage. 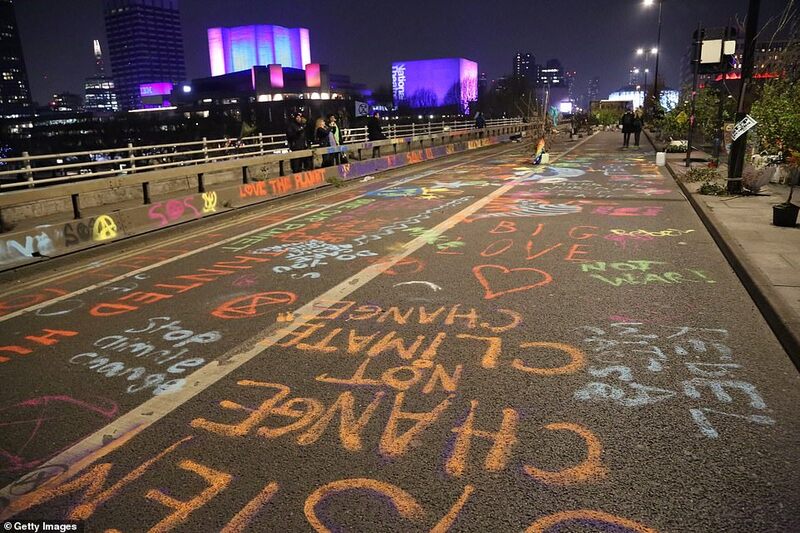 Elsewhere skateboarders replaced cars and lorries on Waterloo Bridge as the Thames crossing was closed to traffic and decorated with pot plants and trees.